Sandra Reynolds is a long-time nurse and has always enjoyed helping people. While taking a small business class in Pinehurst she was introduced to a gentleman selling specialty oils and balsamic vinegars. With a love for cooking and after her first taste of gourmet balsamic vinegar, Sandra knew she needed to open her own store in Cary. 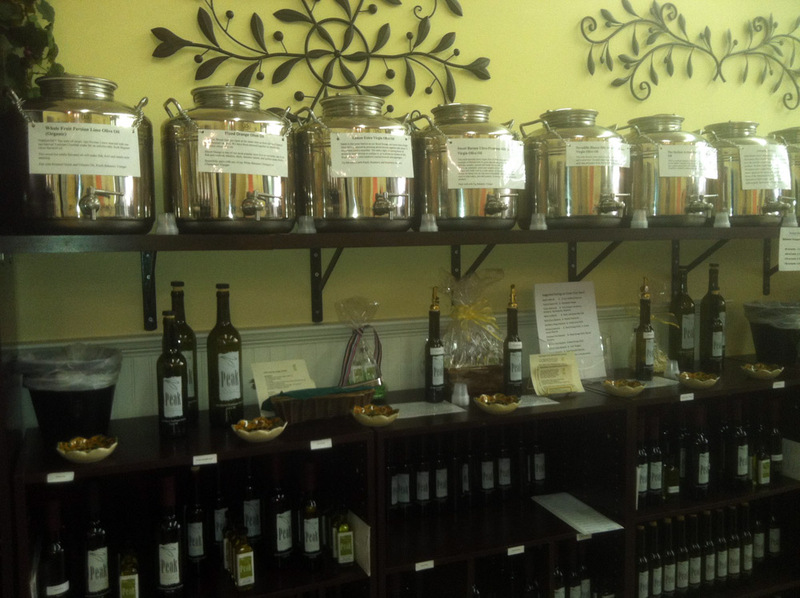 Peak Olive Oil Company recently opened in March, supplying specialty olive oils, gourmet oils and balsamic vinegars in quaint downtown Cary. Peak is located off West Chatham St. in the Sorrell’s building, which was originally an old grocery store. You’ll notice a small sign sitting on the side of the street to direct you to the shop. Prepare to be blown away! Rows of unique oils and vinegars are waiting to invigorate your senses. The producer of the olive oils requires all growers to harvest olives at the peak of freshness, hence the name Peak Olive Oil Company. The olives are cold pressed to ensure the highest quality product, extra virgin olive oil. 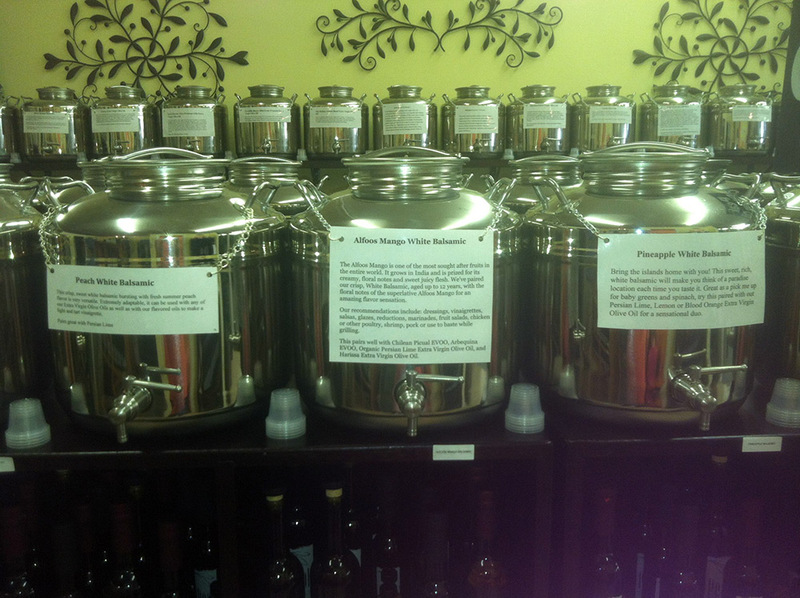 Sandra has discovered a plethora of ways to use these specialty olive oils. If you come by her shop she will kindly offer you a cup of coffee or tea while showing you around the collection of oils. There are so many oils you can sample like blood orange, Persian lime, and a spicy Harissa. Sandra also has created her own recipes using these specialty oils and she loves to share with her customers. You can pick up recipe cards with ideas of quick dinners, snacks and desserts to make using the oils. I can’t wait to try Peak’s Easy Citrus Sugar cookies using a package of sugar cookie mix and the blood orange olive oil. There are also more recipe ideas on Peak’s website. One of my favorite olive oils was the Tuscan herb, a delicious blend of herbs, sundried tomatoes and garlic infused olive oil. I brought a bottle of the Tuscan herb home to use for cooking. I hadn’t gone grocery shopping (I blame the lifestyle of a foodie blogger) but I had pasta noodles in the pantry. I couldn’t believe how flavorful a few drops of olive oil could be when drizzled over plain noodles! I can’t wait to try the olive oil in other Italian dishes. 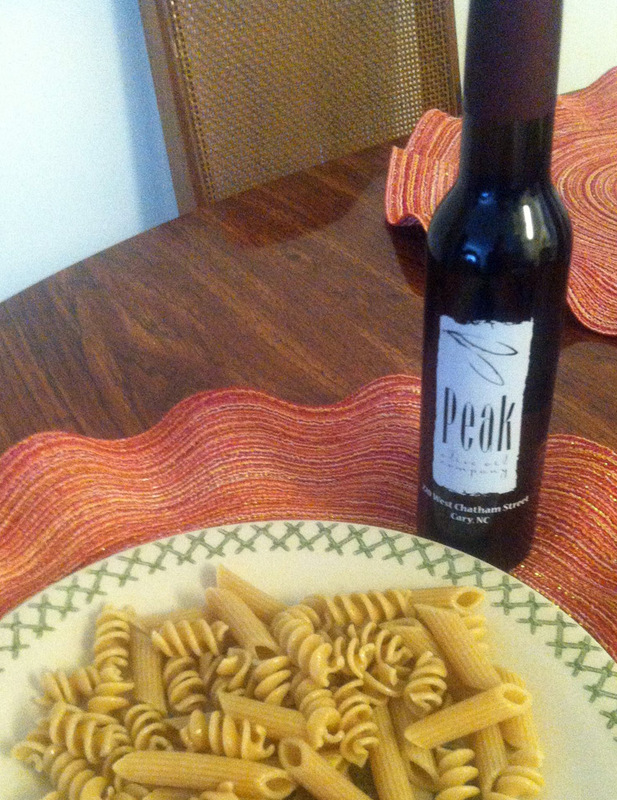 Peak Olive Oil Company also offers balsamic vinegars from Modena, Italy, which are aged 12 to 18 years in charred wooden barrels. Be prepared to sample for quite a while because there’s a large variety of flavored balsamic vinegars; including peach white, dark chocolate, espresso, and the new arrival, red apple. There’s a balsamic vinegar for everyone. Another recipe I’m anxious to try is Peak’s simple box brownies, which uses dark chocolate and espresso balsamic vinegars. These specialty oils and balsamic vinegars are perfect for a new or an experienced cook. 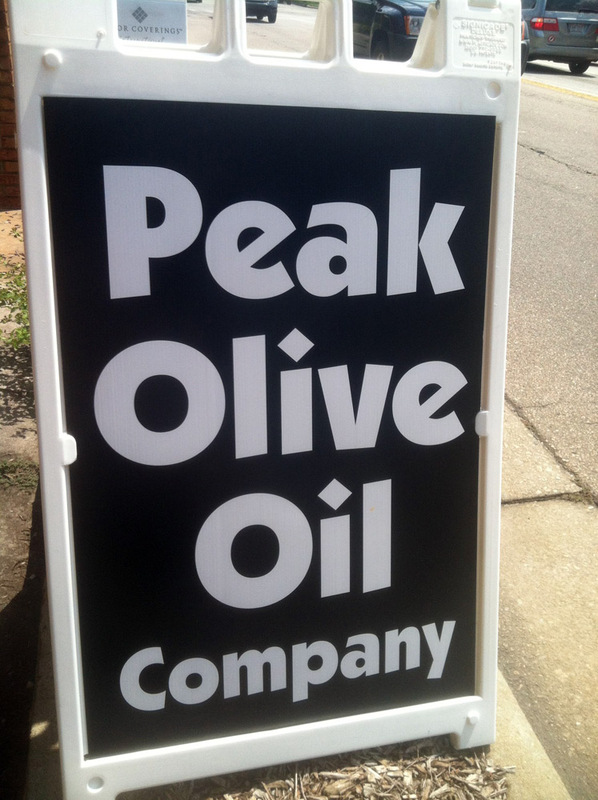 Swing by Peak Olive Oil Company to sample anything you’d like and to pick up a few bottles. I’m positive they will make your cooking experience fun and flavorful. Also, be sure to check out Peak&apos;s Living Social deal this week. If you purchase the $10 deal you&apos;ll get $20 worth of product.